On Sunday, October 14, 2017, I spent a lovely autumn day in the quaint and picturesque town of Highlands, NC amongst the influx of leaf-gazing tourists and was on had at Kelsey-Hutchinson Founders Park to take part in the 3rd Annual Cashiers-Highlands Humane Society Forever Family Reunion. 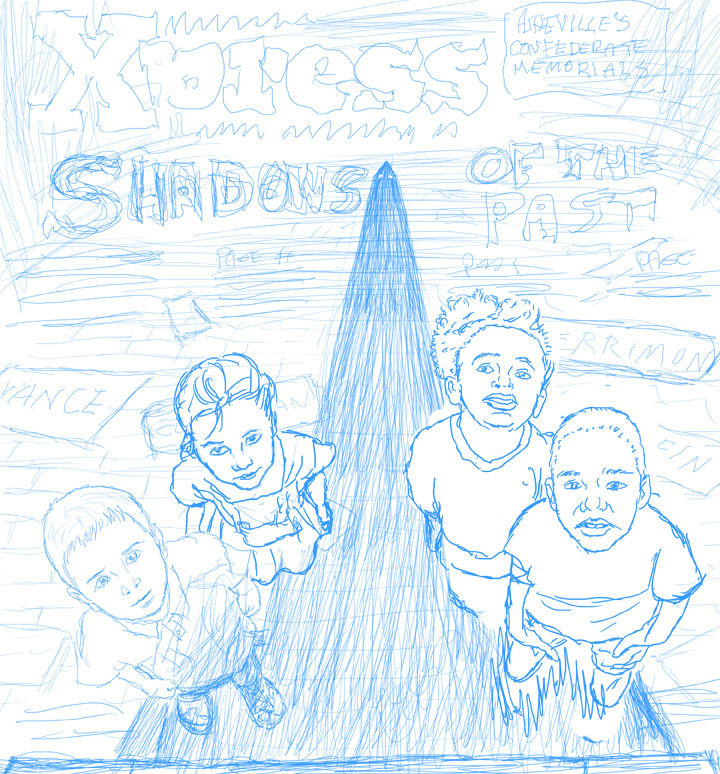 Here are a few photos I took of the adopters and adoptees that I drew. More photos of the event can be found on the group’s Facebook page at this link. Photos of pets and humans drawn at 2017 Humane Society Forever Family Reunion in Highlands, NC. 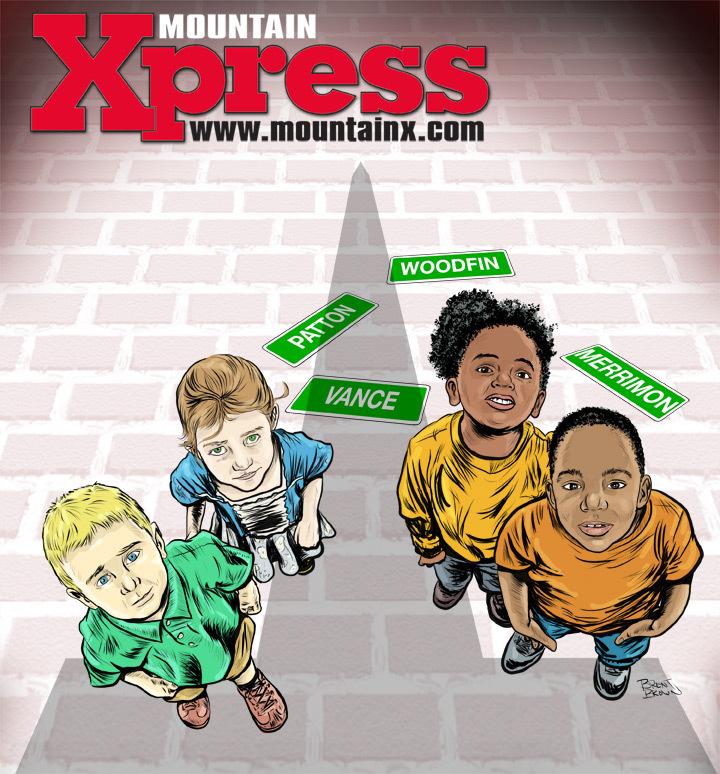 Another cover assignment from the Asheville paper, The Mountain Xpress, and this time it was more cartoony. 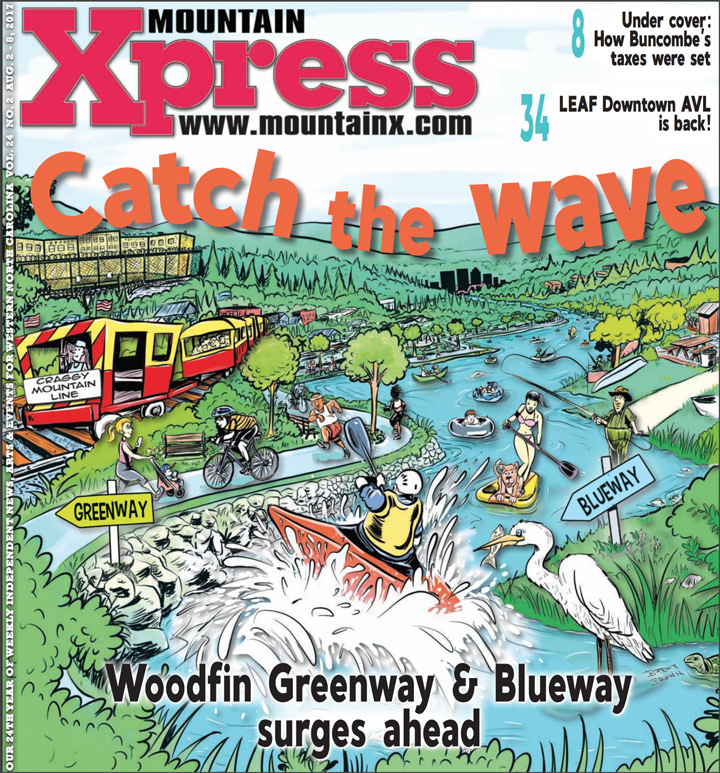 It required much going on in one illustration to show the intended happy use of the the Greenway and Blueway aspirations that the nearby town of Woodfin has for building such a destination. 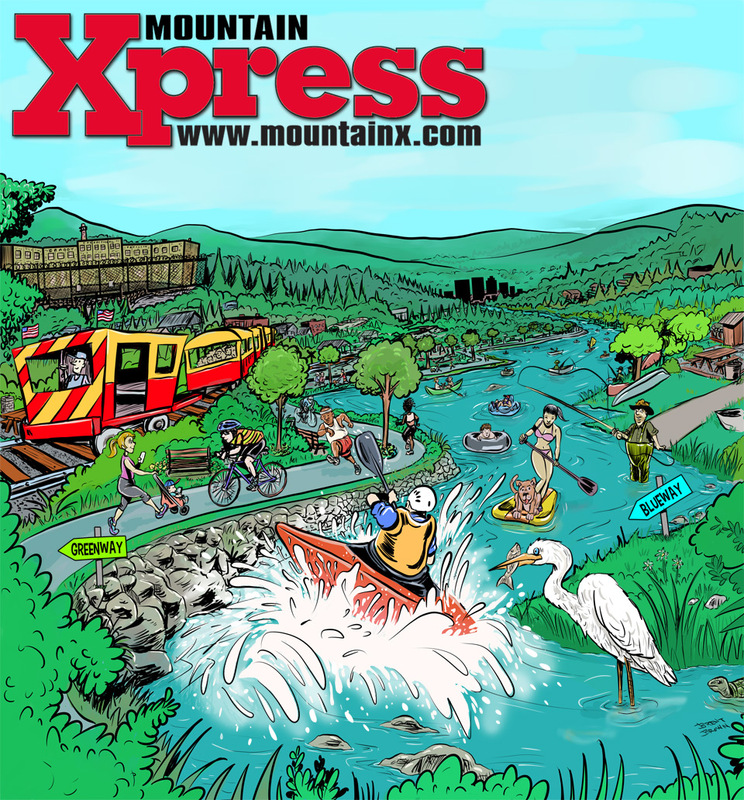 Complete with a whitewater feature and a railway. 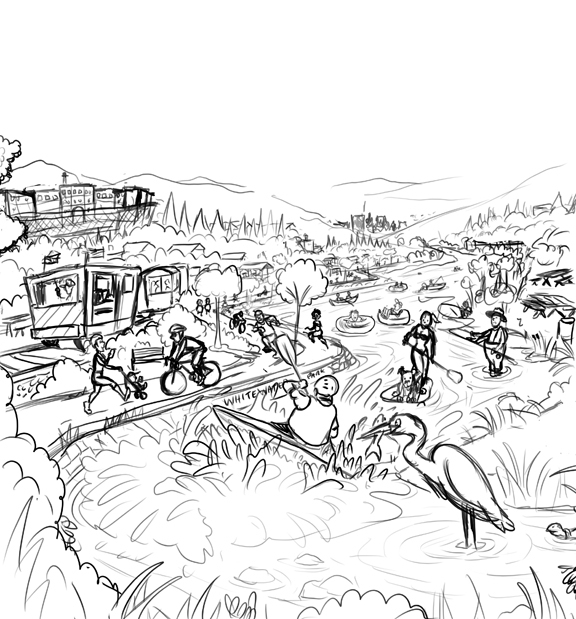 Nearby, the old, disused husk of the old Craggy Correctional Facility was meant to show the more realistic depiction of the area as it is now, in contrast to the idyllic dreamways. 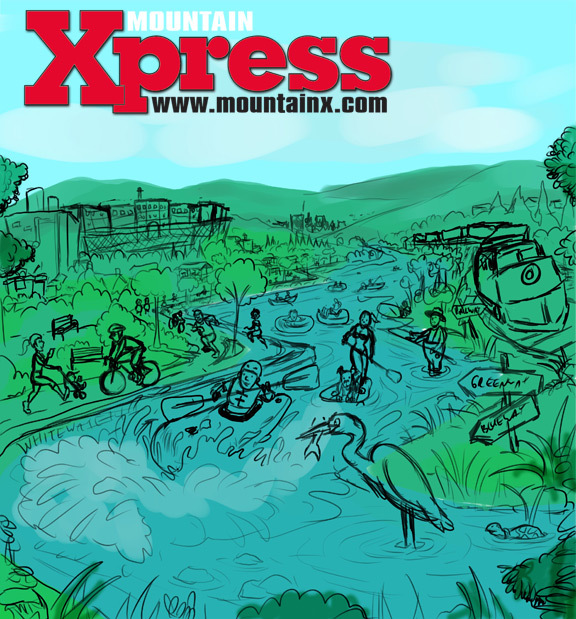 The Asheville Mountain Xpress paper contacted me to do another cover illustration. 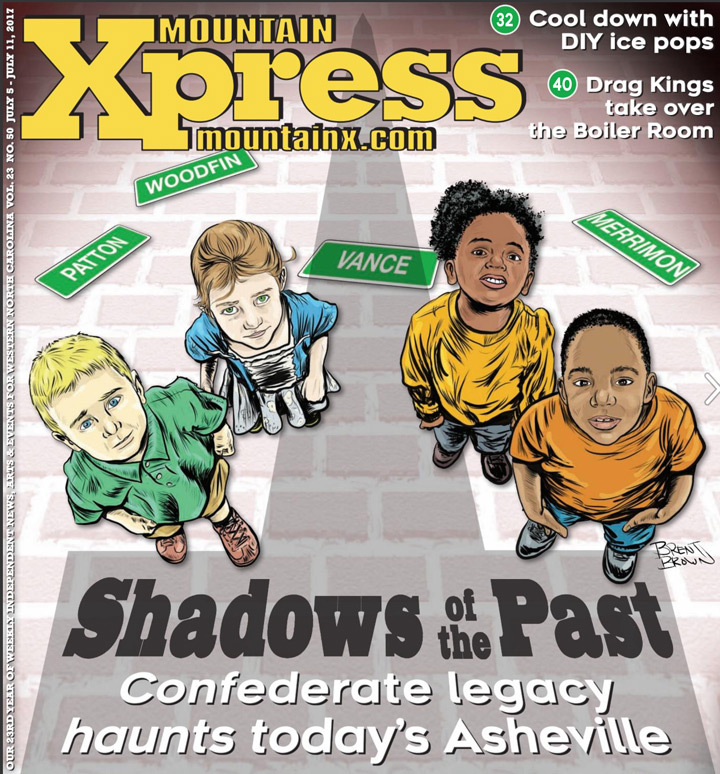 This time, not a humorous, cartoon approach, but something to reflect the story inside about the many monuments, and streets in the city named after, or memorializing figures from the city’s confederate past. 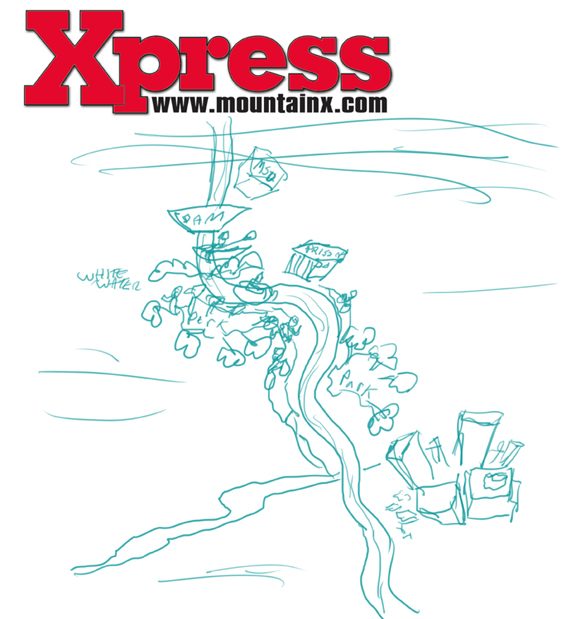 Shown below, the sketches and roughs I went through in coming up with a concept to meet the needs of the story’s author. He wanted something to show the history that went on around the monument in question (The Vance Monument) and allude to the other historical markers of street names, etc. 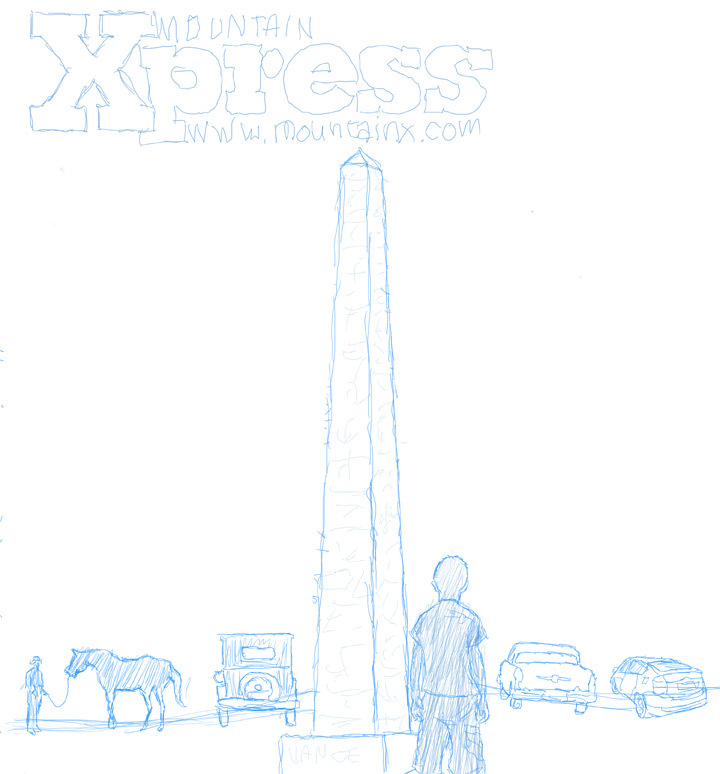 Maybe a silhouette of a modern youth (a desire to use children reflecting upon the monument(s) and their meaning was one element suggested to be needed) observing the Vance monument and a history of transportation was considered. 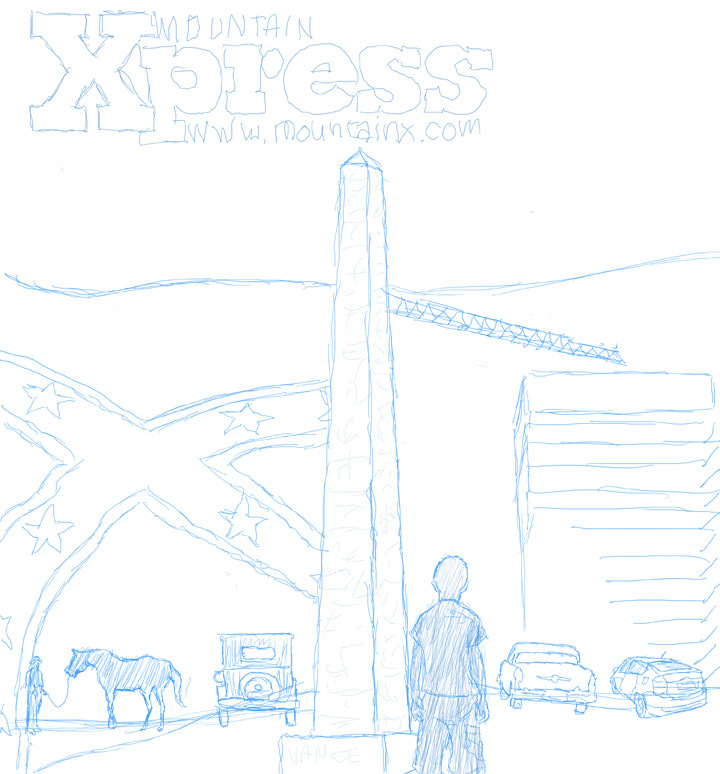 Adding confederate flags to one side (the past) and modern skyscraper to the present side was another idea. 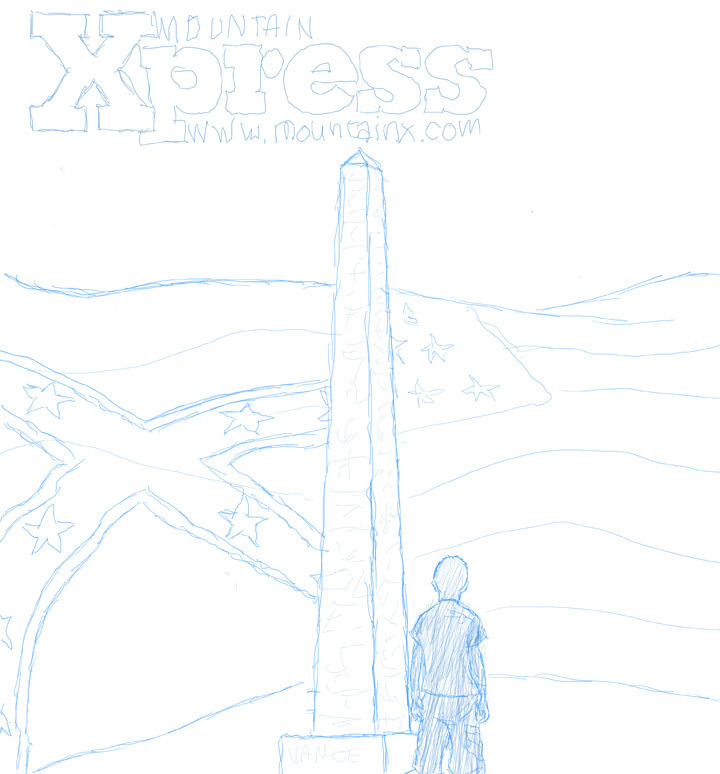 Also considered were confederate and US flags on either side and just mountains and old and modern cityscapes. 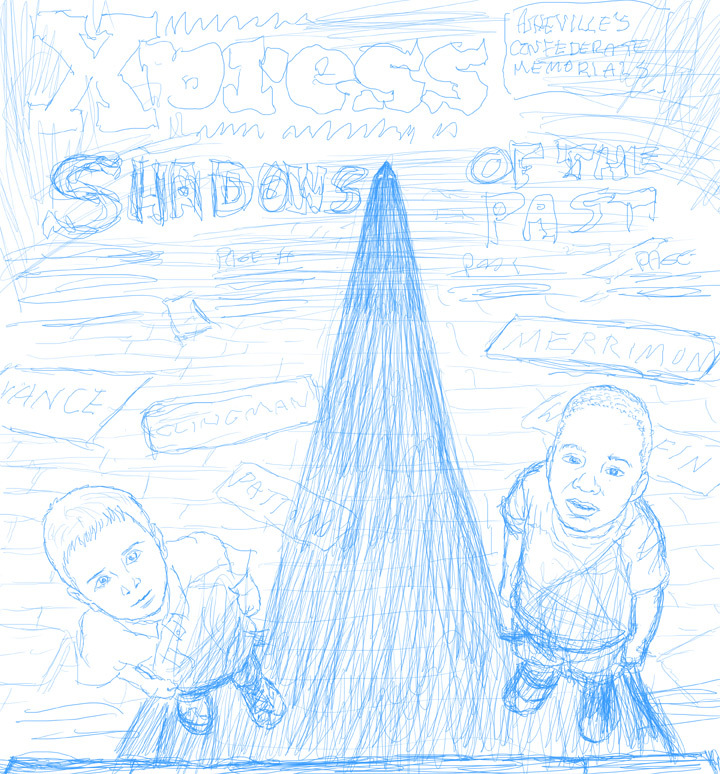 Ultimately, we decided to go with the idea of two kids, one black, one white and I had the idea to not even show the actual monument, but rather the kids looking up at it and the shadow of it looming large (they used my suggested title of “Shadows of the Past” too). There were discussions about why only boys were shown, so I added girls from each race as well and that was the combination they ultimately went with. So here we are at the end times… I mean.. the final days.. 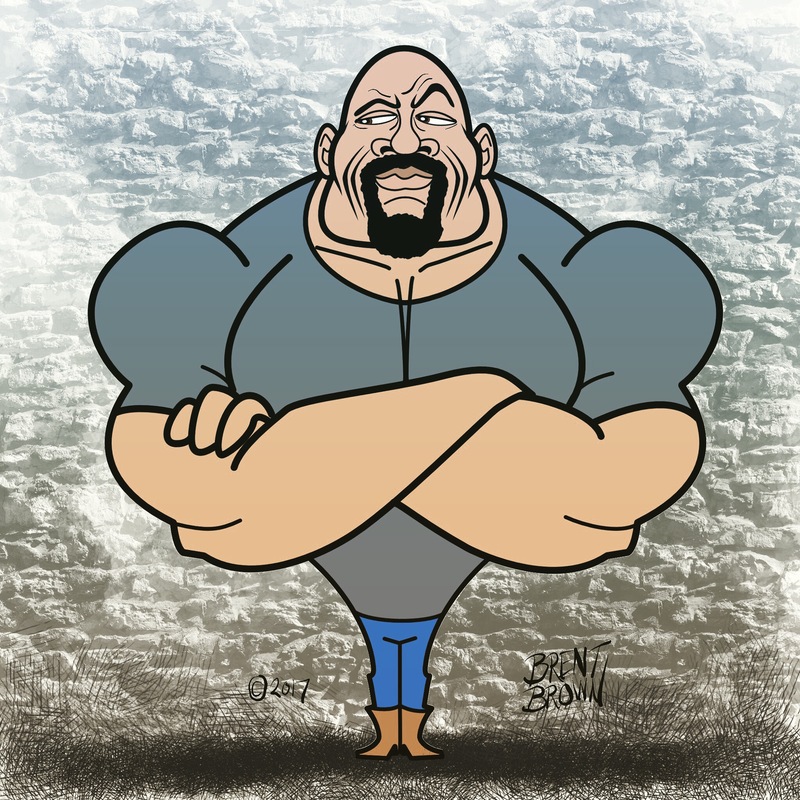 I mean the last day of the “one caricature a day challenge” called Caricature Resolution 2017. 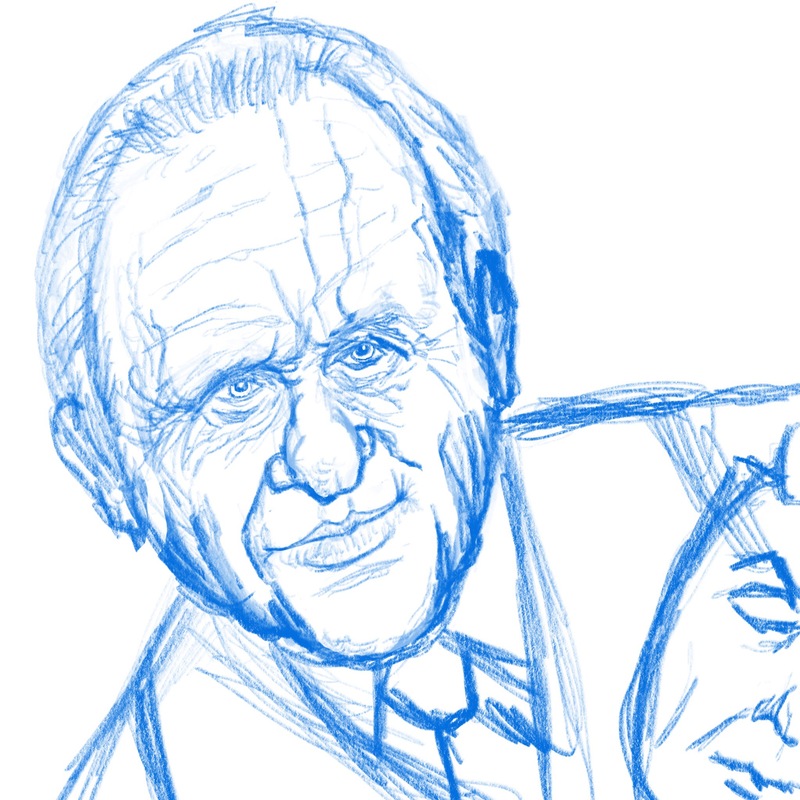 Anthony Hopkins was the designated subject and I worked on and then overworked this one of him in his current “Westworld” role as I seem to do too often. Once again, trying to exaggerate did not work for me. 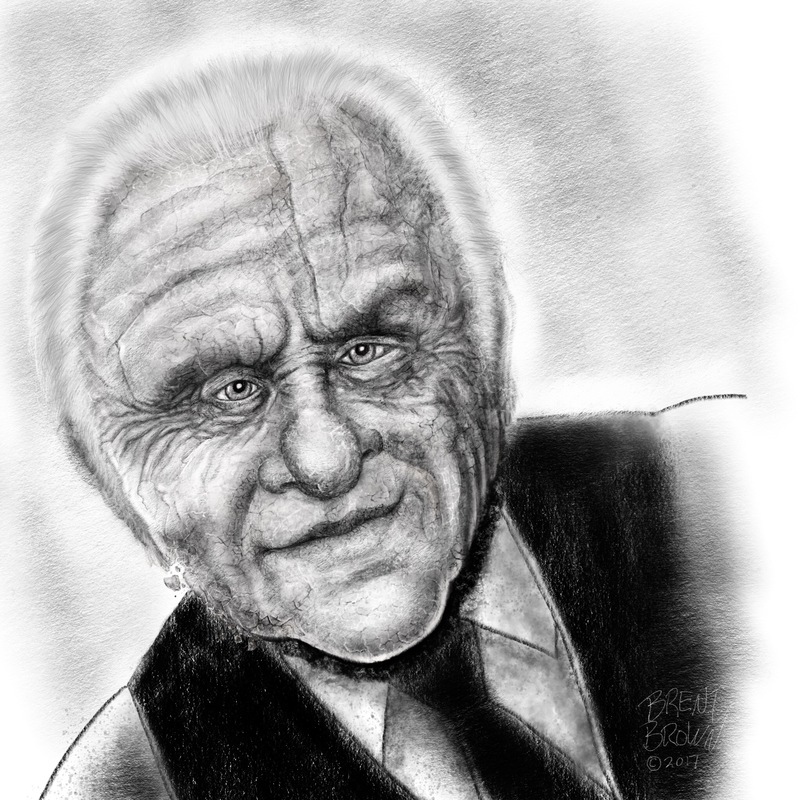 I tried making the eyes small, the forehead and nose large, and somehow, when the resemblance wasn’t there, kept changing things and proportions until I was practically back to the damned original proportions to being with, only I had still changed things enough that there was still no resemblance (I think this now looks more like BIlly Graham than Anthony Hopkins!!) but as a bonus there was also NO exaggeration! Double fail!! 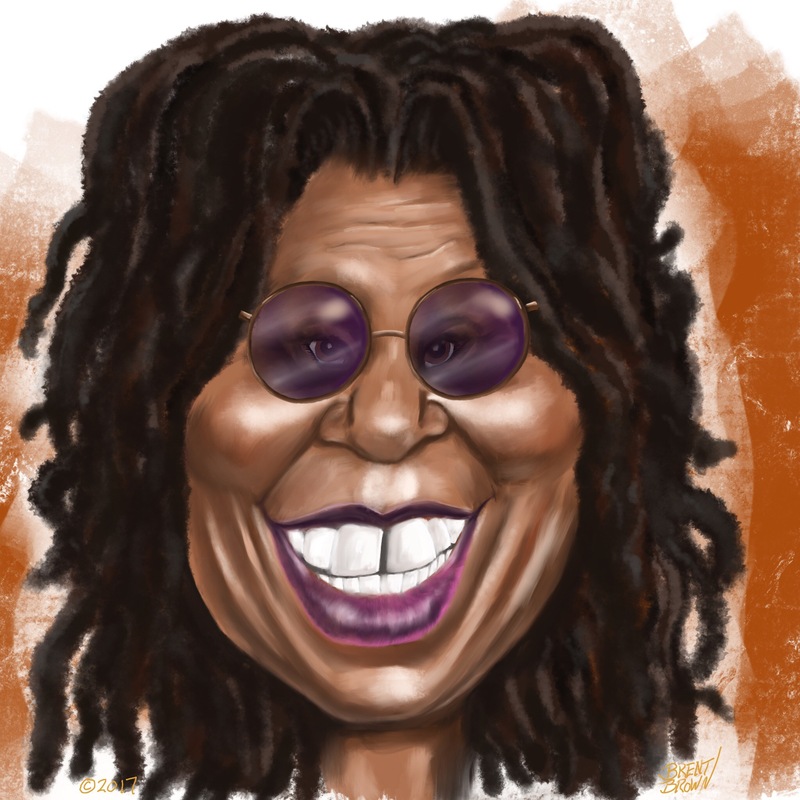 So there you have it 31 caricatures of celebrities that I would otherwise never had done, some more successful than others. This is the reason I like these things. I also kept a disciplined daily routine of updating this blog, which also usually would never happen. Never mind the fact that it may as well just be a personal diary, seeing as how no one is reading or knows that it exists, at least introducing that kind of regimented daily productivity builds character, or so I’m told. 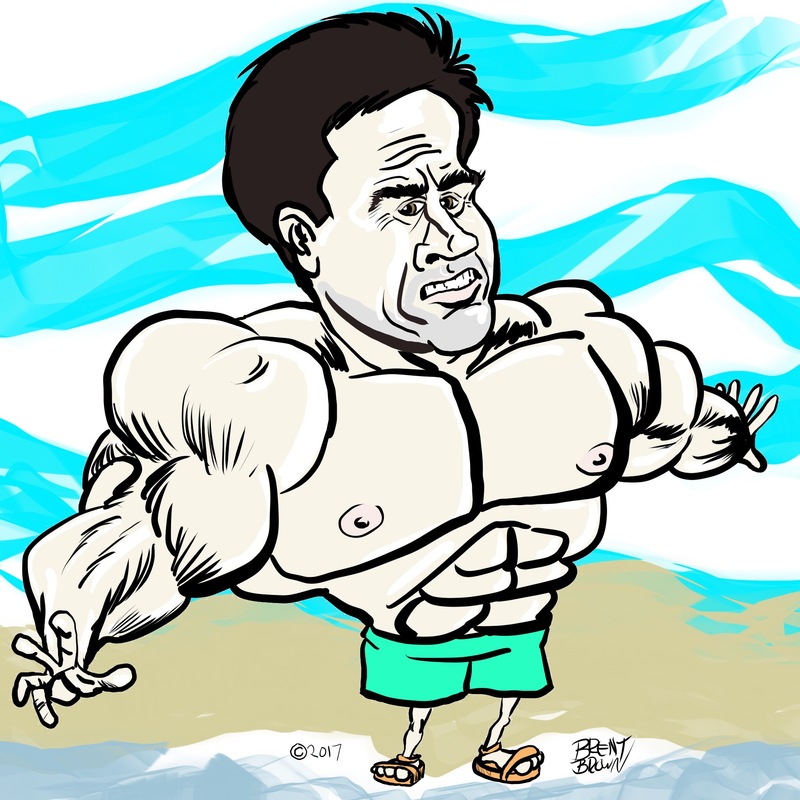 Day 30 of Caricature Resolution and it looks like I’m going to make it! Today (thanks to finally getting a subject with strong features to play around with) I think I actually managed to achieve both exaggeration and resemblance. If not, here is the finished product (with and without glasses). I’m not that familiar with Elle Fanning. 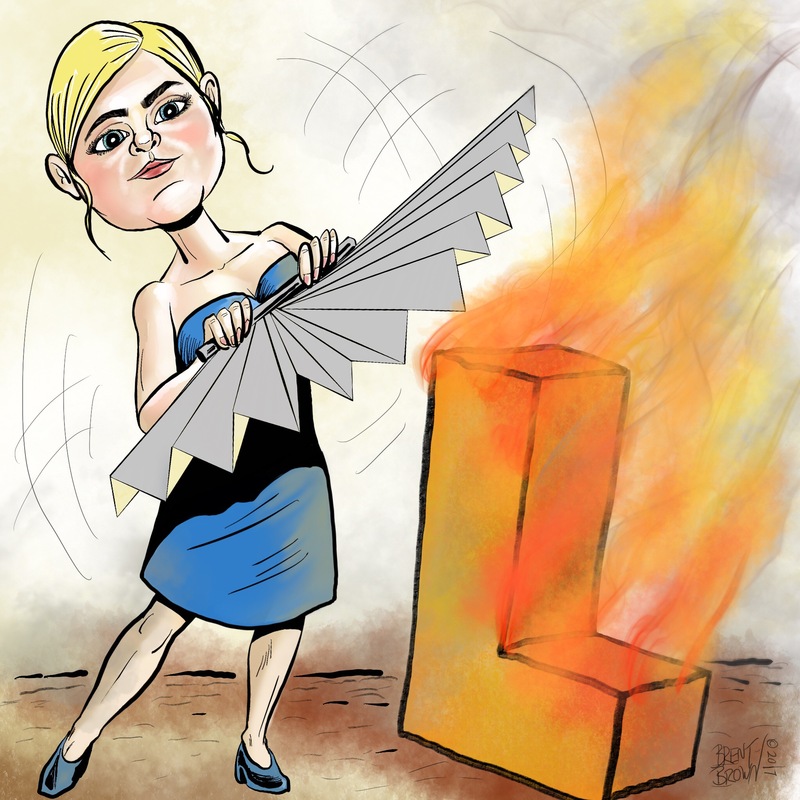 Either her work or her face, but this was the third big-eyed ingenue actress that I was not that familiar with in a row, so just to mix things up, I had her fanning the fire on a flaming letter “L” or “L-Fanning”, do you get it??? 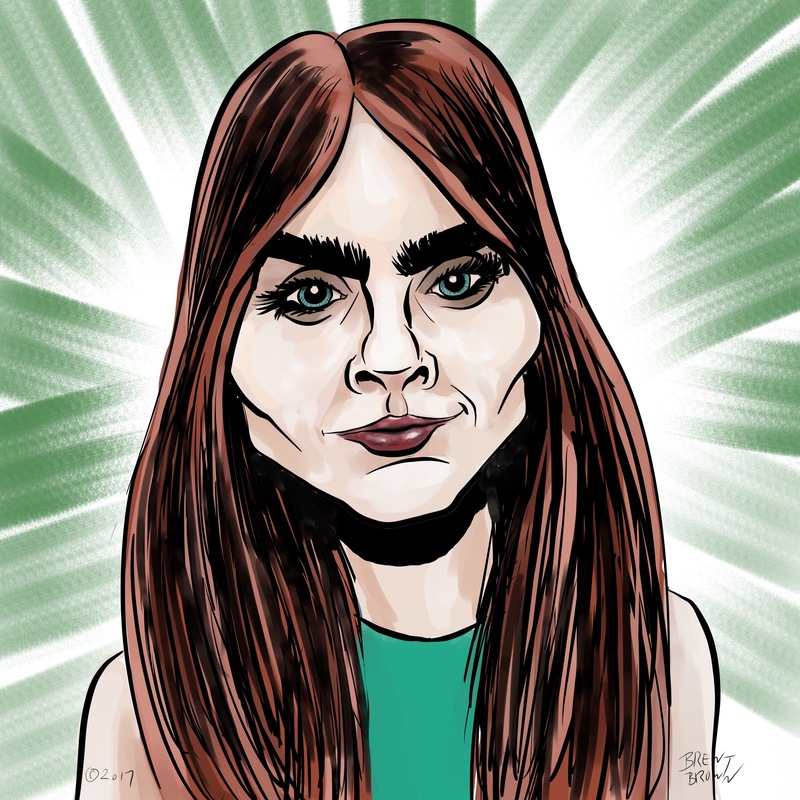 The model/actress, Cara Del… uh something, is today’s required subject. With her heavy eyebrows, round face and pug nose with the required model cheekbones, she had a lot to work with. 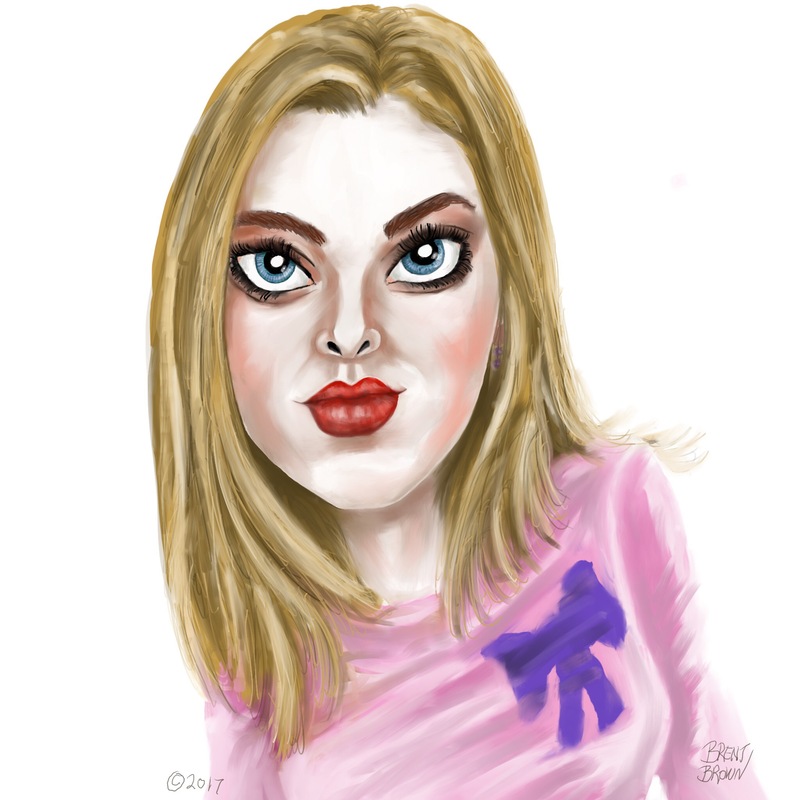 My ability to exaggerate and keep a resemblance, however, is still quite limited, apparently and so I ended up with yet another barely-distorted portrait. 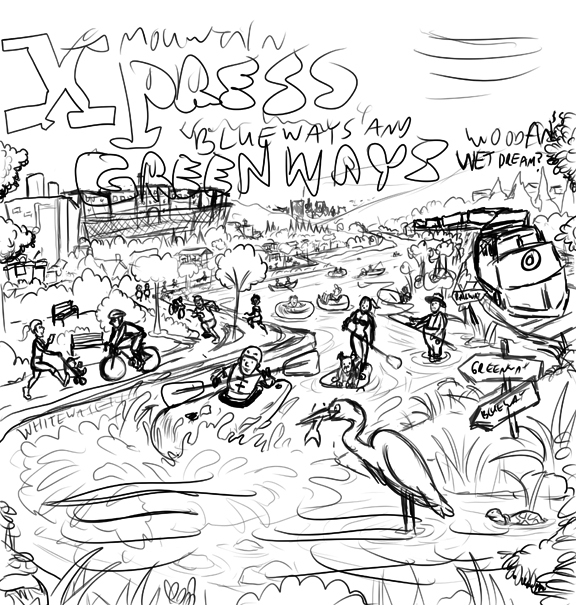 This time I kept with what I know best as far as style goes: comic book-like ink lines colored in with vivid colors. 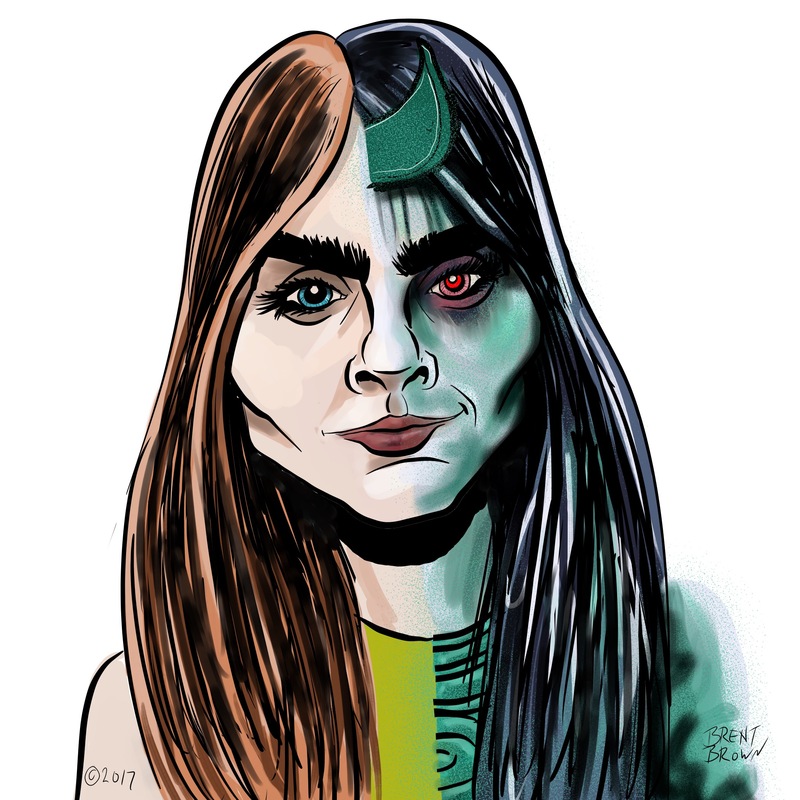 I also wanted to go comic book with her role as The Enchantress in the Suicide Squad movie, but also wanted to draw her normal face, so I did half and half. Then kept the whole normal face too, because that one looked more like her. Yikes, another face with not much to grab hold of for caricature. Of course, I’ve said that before, and then I see other artists doing quite remarkable work out of what seemed an unremarkable face to me, so maybe I will see the same here. 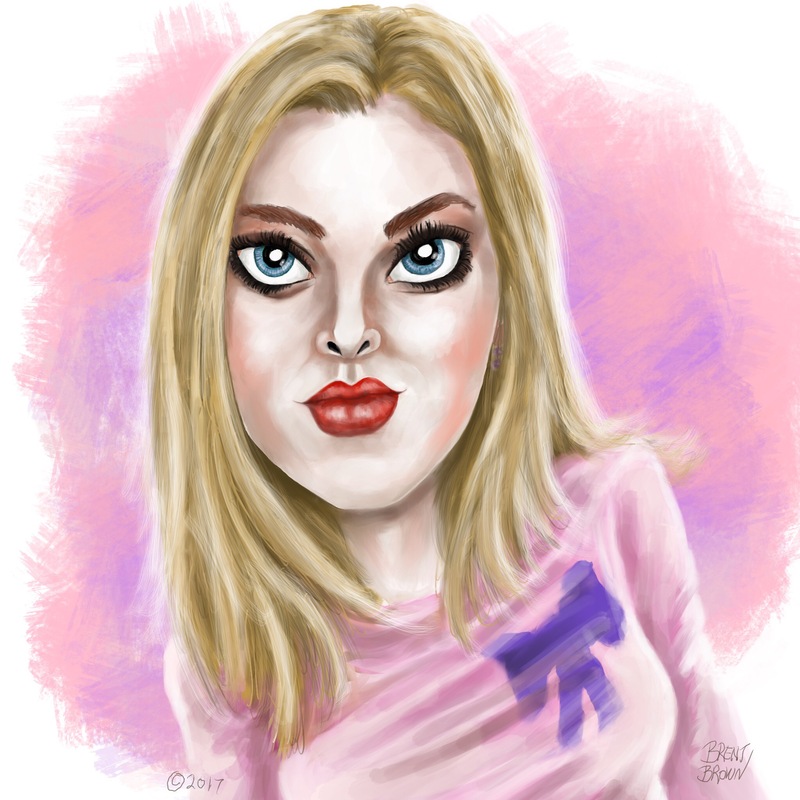 For me though, I had to settle for just making her eyes kind of large, and maybe up the size of her lips. For an iconic role, I chose her character from Mean GIrls, Karen. No good reason for it, I’m just trying to make “Fetch” a thing. Day 26 and I’m still keeping my resolution! 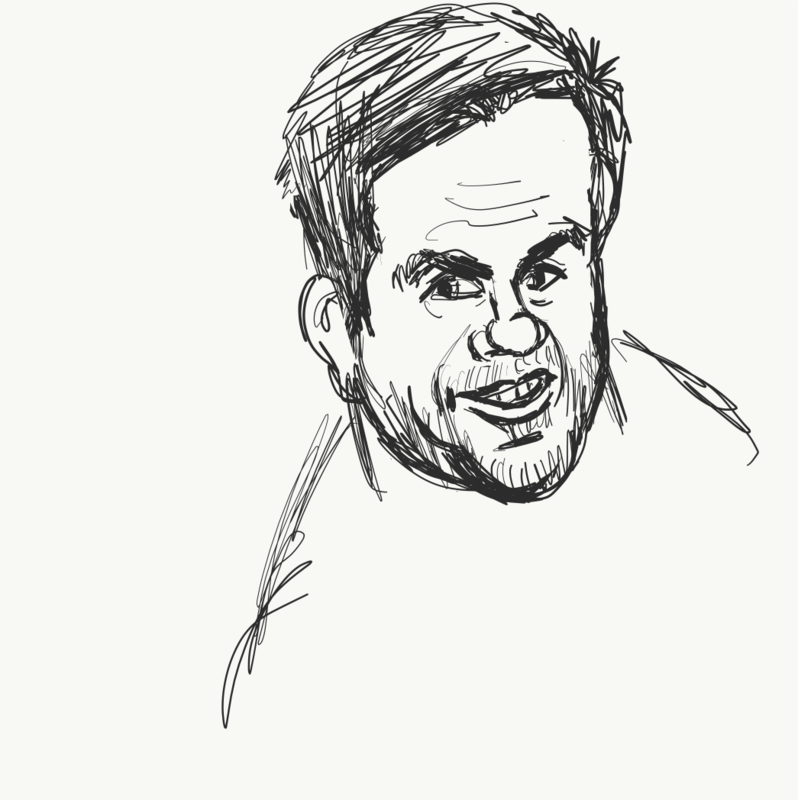 With the day’s assignment of the unremarkably-featured (wow, this guy doesn’t give you much to work with in terms of facial features to grab onto and exaggerate) former Mark Mark, Mark Wahlberg. 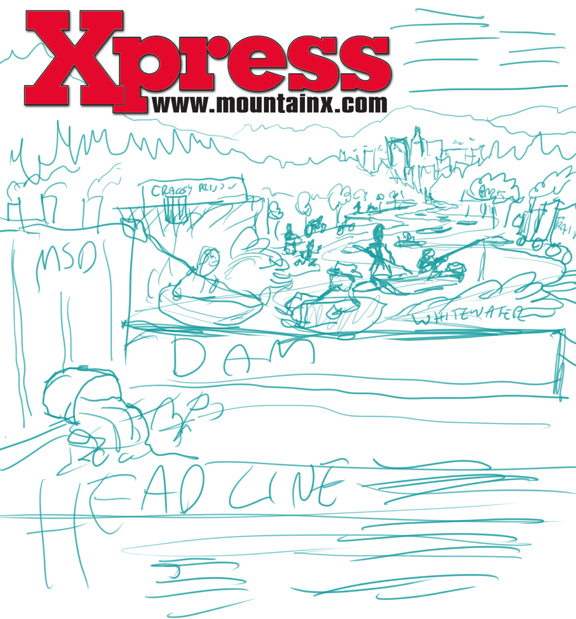 Here is the first rough sketch. I couldn’t get much of a handle on his face. 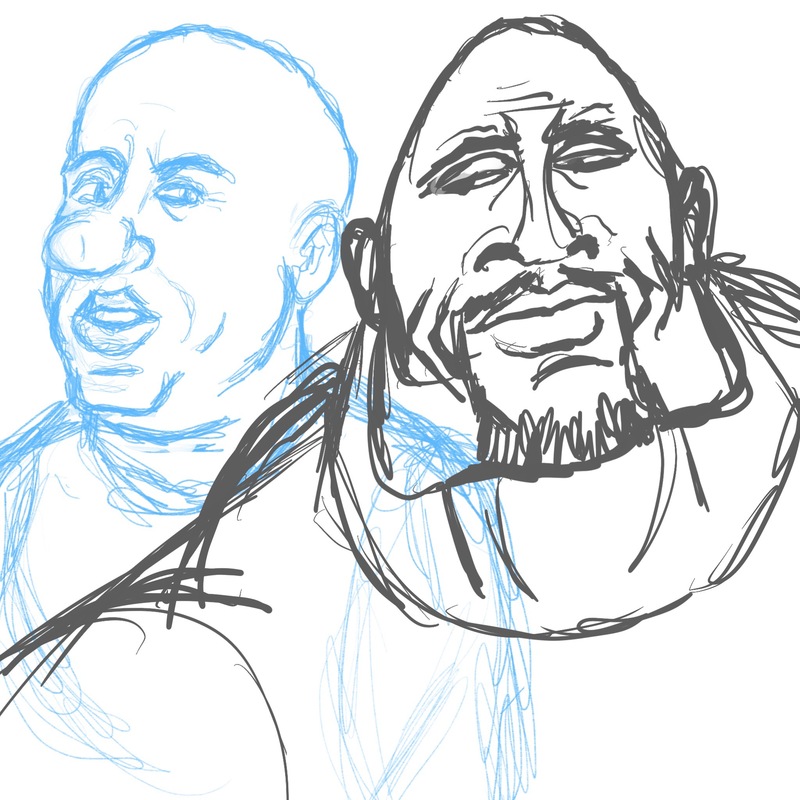 I decided to do him in the similarly cartoon style I did the previous two caricatures of this challenge, Vin Diesel and Dwayne “The Rock” Johnson. 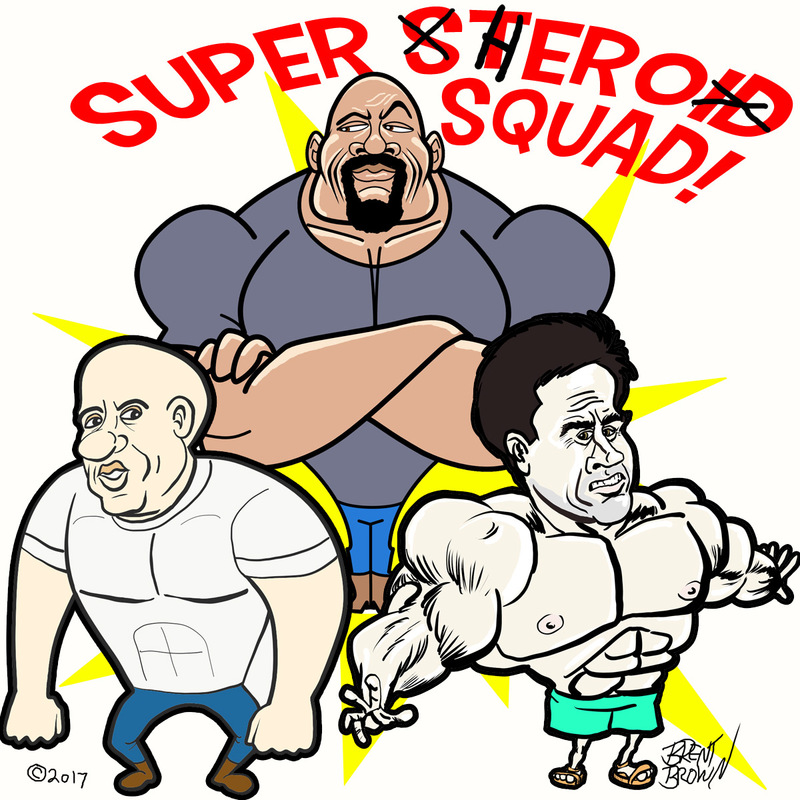 Finally, since they are all similarly stylized and all muscle dudes, why not try to put them together for a new Cartoon Network super squad? 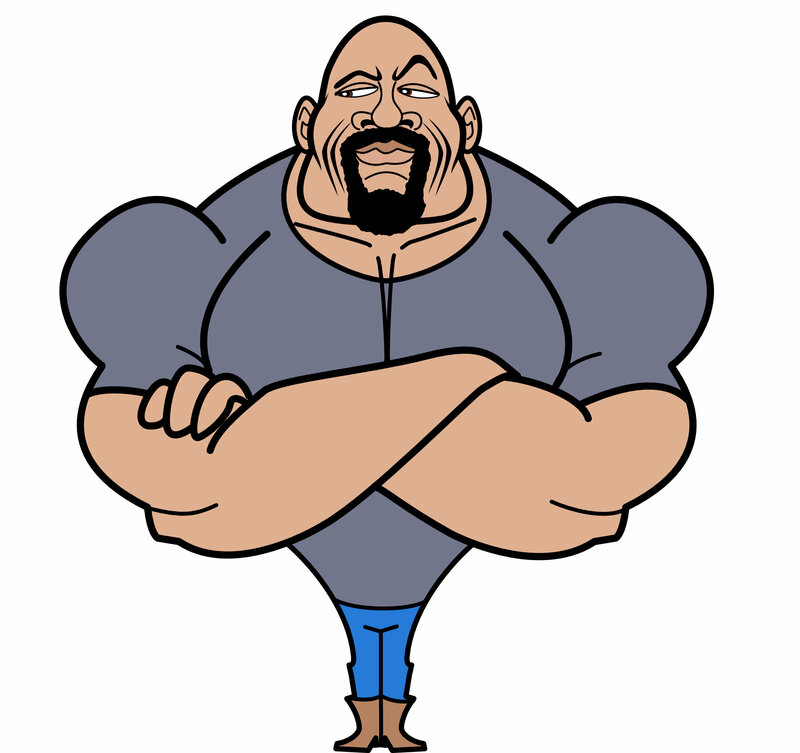 Collage of Diesel, Johnson and Wahlberg cartoons. 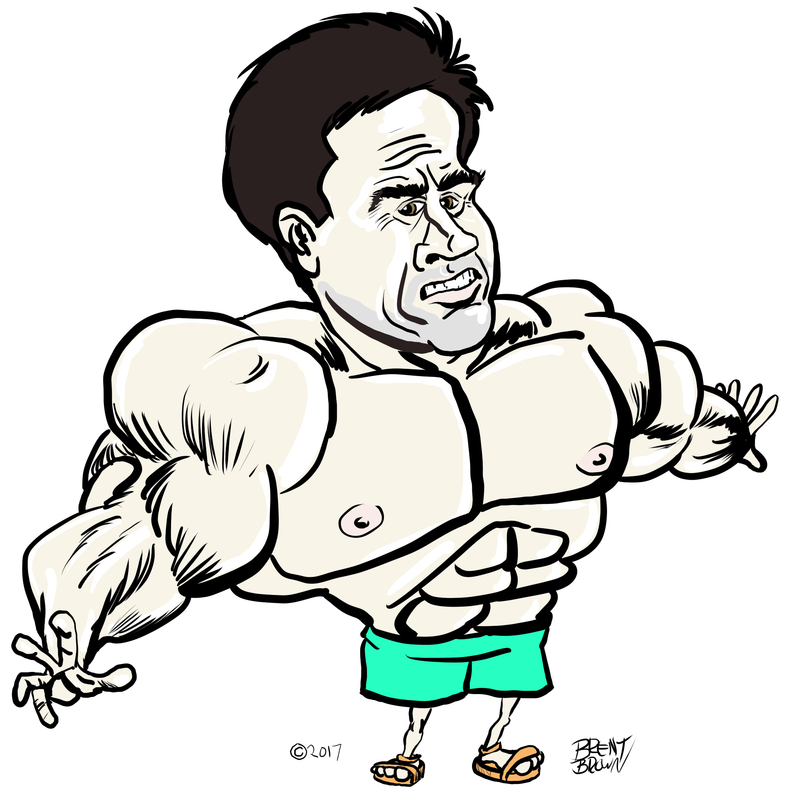 I’m keeping the cartoon animation type of style for today’s subject. See you tomorrow.